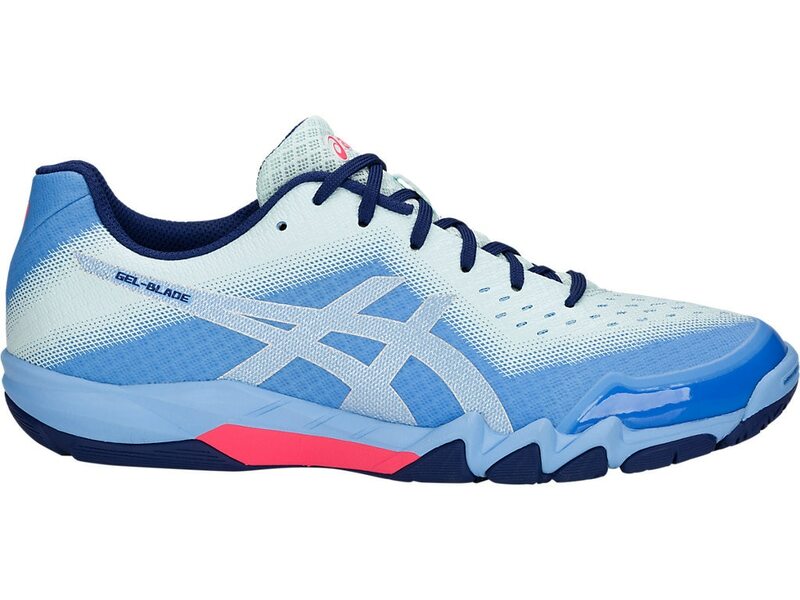 You'll hardly notice the extra protection you've got with GEL-BLADE 6 on your feet the technology is combined with lightweight materials to make it your secret weapon when you step out on court. Speed and agility are at its heart you'll own the t on the squash/badminton court and cover every corner on your way to winning. Whichever direction you switch to, the pivot points on the outsole help you turn quickly and easily, while the rounded heel is the perfect aid to lunging forward to make the shot. Attenuates shock during impact phase and allows for a smooth transition to midstance. Attenuates shock during impact phase and allows for a smooth transition to midstance.